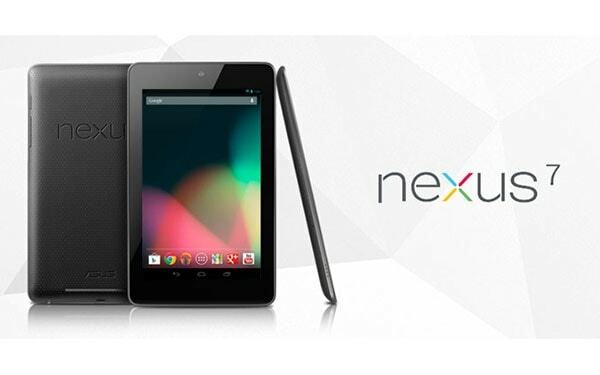 There have been rumors circulating for a couple months now that Asus and Google were planning a cheaper Nexus tablet. The latest rumors suggested that it would cost $99, run on a WonderMedia CPU, and possibly even be launched first in South Africa. I don't know how many of the rumors are true, but I do believe I found the first solid proof that this tablet exists. A reader tipped me to a new set of benchmarks on the GLBenchmarks website which almost certainly belong to the next Nexus tablet. According to the specs listed on the site, the ME172V has a screen resolution of 1024x600 (I do not see a mention of size) and is running Android 4.1.1 on a 1GHz CPU. It also has a 400MHz Mali GPU, a detail which would seem to confirm the rumored launch in South Africa. There's not much more useful data to extract from GLBenchmarks, but given how closely it matches the South Africa rumor I am going to go out on a limb and assume that the other specs mentioned in that rumor are true. iAfrica reported earlier this week that the new Nexus tablet would have a 7" screen, 1GHz of RAM, and a 1MP front-facing camera. That's a plausible slight step down from the current Nexus 7, which has a 1.3MP camera. The new tablet is also supposed to have a microSD card slot for additional storage, something which would come as a surprise given that the current Nexus 7 doesn't have a card slot. I would bet there is a card slot; it's a cheaper option than adding 16GB and 32 GB of storage. But even though I think these specs are true, I would still be cautious about relying on them too much. It looks like iAfrica got at least one detail wrong. They reported that the South African price for this tablet would be around 2,000 rand; that converts to roughly $227 USD, or more than the Nexus 7. Given that other electronics in SA sell at something reasonably close to the US price (the Kobo Touch is listed at 995 rand), I doubt that the 2,000 rand price is legit. But even with that caveat, I still think this tablet exists. It simply makes too much sense for Google and Asus to repeat the success they have with the Nexus 7 while pursuing a lower price point. There's no sign of this tablet on the FCC website, but the way in which these specs leaked fits in with past Google and Asus leaks; I recall that Asus deliberately leaked the Nexus 7 specs on a benchmark website. I agree that there won’t be a card slot. That said, Google’s excuses have never made a lot of sense. I still believe that the real reason is to let them sell $5 worth of extra memory for $50. Then Google is going to look weird selling a tablet with such limited storage. They’ll have to ship it with 8GB for $99, and that is inadequate now. Heck, there already are $99 tablets with a card slot and 8gb of storage, so if Google can’t do better they will be a laughingstock. Google’s engineers had better figure out a good way to cope with SD cards (and thumbdrives) or they’ll lose one of their big selling points vs. iOS. I have the pandigital planet and have 2 problems. 1. It won’t update. What to do?? 2. Out of the blue, my sd card started ejecting. So I’d put it back in. Then about 1 hour ago, it ejected and it won’t let me install it??? Now what? The Pandigital Planet won’t update because Pandigital’s servers are gone. The company went bankrupt. I don’t know what to do about the SD card slot.